AwanZaman is a multilingual font released in 2016. 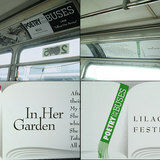 Mamoun Sakkal designed the Arabic glyphs and Juliet Shen the latin glyphs. 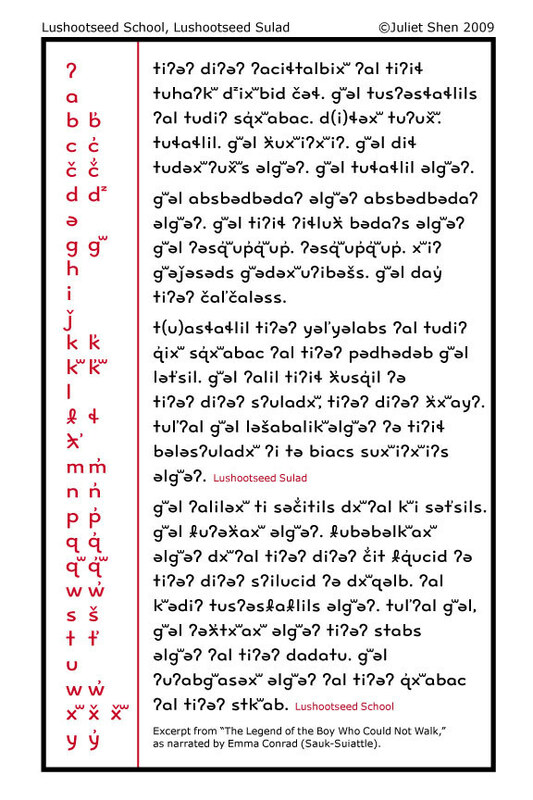 The latin was developed specifically to support the Arabic typography in form and function. 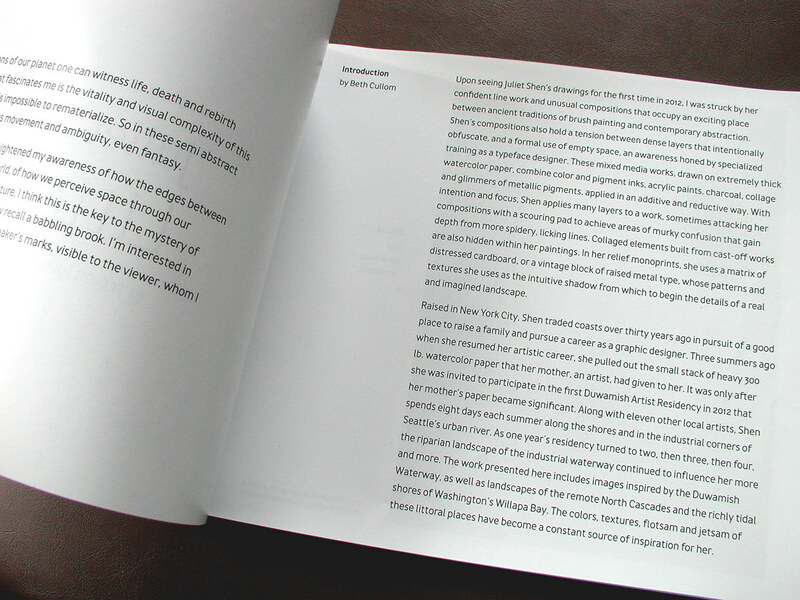 This sample is the cover of an exhibition catalog, typeset with alternate characters available within the font as an OpenType feature. Cumulatively, the alternate characters serve to give the typeface a more playful, informal personality. Available from TypeTogether online foundry. 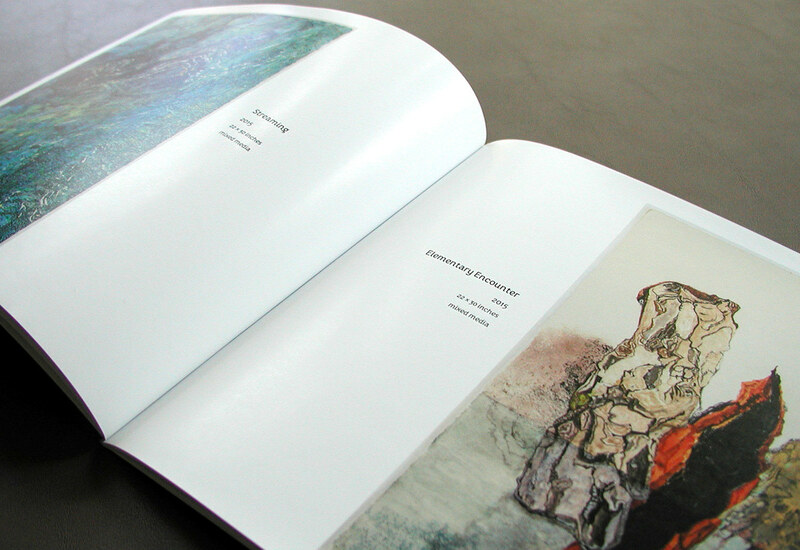 Interior spread from the exhibition catalog. The default character set was used to set lengthy text. It is more formal and highly readable. Interior spread from the exhibition catalog. Alternate characters were employed to typeset image captions. 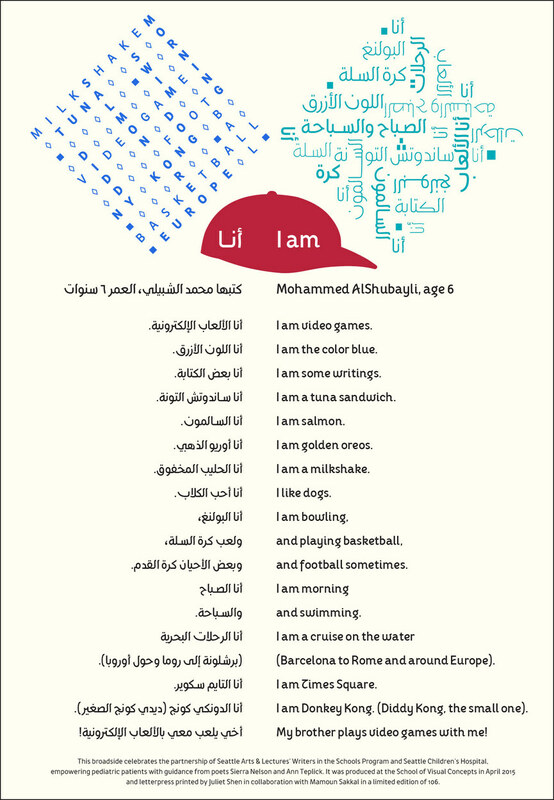 This is a poem written by a pediatric patient at Seattle Children's Hospital and typeset in Arabic and English. Designed by Juliet Shen. 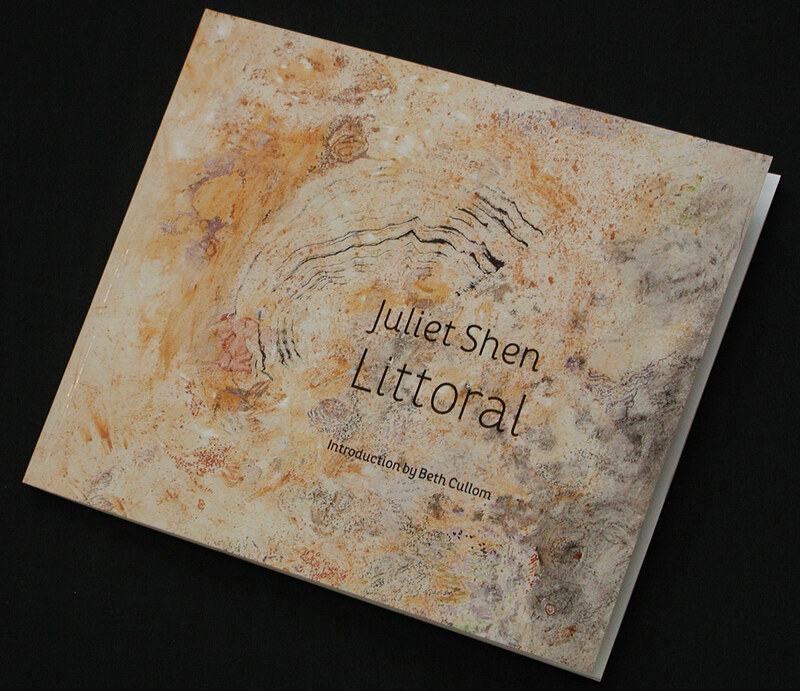 Illustration and typesetting by Mamoun Sakkal and Juliet Shen. Produced jointly by Seattle Arts & Lectures' Writers in the Schools Program, Seattle Children's Hospital, and the School of Visual Concepts. 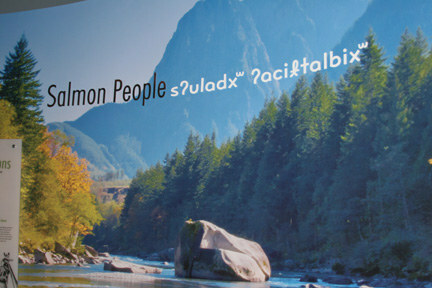 Unicode-compliant typefaces designed for the Salish Indian language, Lushootseed. Manufactured by the Hamilton Museum of Wood Type & Printing, Two Rivers, Wisconsin. 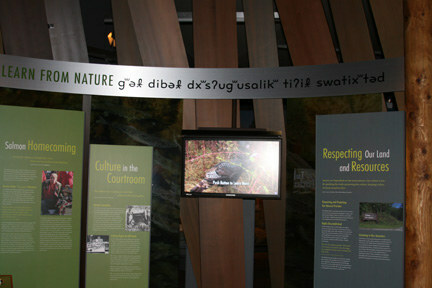 The wood type was used in Summer Language Camp for children of the Tulalip Tribes. A digital font inspired by metal typefaces from ATF (American Typefounders Company). The roman is quirky and distinctive yet notably readable, even at small text sizes. making it especially suitable as a text face in combination with fonts like Benton Sans. Bullen is available for purchase at http://www.fontbureau.com/fonts/Bullen/. Available as OpenType fonts with extended language coverage, tabular figures and arbitrary fractions. A full specimen sheet in pdf form is available for download. Designer: Juliet Shen. Typefaces: Bullen family with Benton Sans small caps. Author: Eric L. Lindstrom. Map: Nick Martinelli. A typeface designed for Oxford University Press. Used in primary level publications. This is a poem written by a pediatric patient at Seattle Children's Hospital and typeset in Lushootseed and English. Designed by Juliet Shen. Produced jointly by Seattle Arts & Lectures' Writers in the Schools Program, Seattle Children's Hospital, and the School of Visual Concepts.